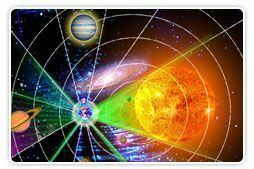 Jewish Astrology is based on the 12 Tribes in Israel and the description of how they marched in the Desert for 40 years between the Exodus from Egypt and the Entrance into the Land of Israel. 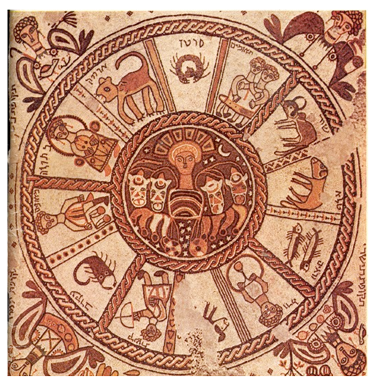 Jewish Astrology uses the 7 planets (Sun, Moon, Mercury, Venus, Mars, Jupiter, and Saturn) even though they had the knowledge of the Outer 3 planets (Neptune, Uranus, and Pluto). Jewish Astrology speaks to Reincarnation but does not speak to Karma. The purpose of Jewish Astrology is to make your Life Path easier to experience not to learn the Future. The first Hebrew Astrologer was Abraham the Patriarch (The Guy in the Bible). The Bible itself does not use the names of the Jewish Months. This was not used directly by the Jewish Religion until the building of the Second Temple and was not recorded per se until the writing of the Mishna – Gemara (the Talmud) approx 200-600 C.E. Abraham wrote a book of outreach to the people of his generation. This is called the Sefer Yetzirah. This book consisted of 400 chapters. This book taught the people of Abraham’s generation “How to Experience/Know God”. Today we have 6 Chapters remaining of the original 400. Yet this book is still teaching the same thing: How to Experience/Know God. The Rabbis of the Sanhedrin through out the centuries, would Teach the techniques Hinted at in the Sefer Yetzirah. They called it "Schools of Prophecy". Most people do not realize that it is necessary to learn to be a Prophet. Once one learns the technique, then and only then, will HaShem choose those who he wants to be Prophets to the generation. These same techniques allow people to Experience/Know HaShem in a way that is not available through other techniques. The Rabbis of the Second Temple and afterward taught that Astrology does not apply to Jewish People. This teaching conceals a spiritual law which we can reveal here. Each person chooses the most appropriate time and place of birth so that they can achieve their Tikune in this lifetime. The Astrological influences affect every human being and are used as tools by HaShem to bring each person to situations and conditions that can be used to achieve his or her Tikune. When one uses the Kabbalistic tool called Restriction (See Class recordings) one can rise above the influence of these Astrological influences which carry with them the elements of judgment which we don’t like. By rising above the Astrological influence we bring Mercy into our lives and actually change the movie of our Life’s Karma. An example of this is the story of Abraham using His Jewish Astrology reading determined that he would not have children. Yet HaShem showed him how to rise above the Astrological influence and achieve the ability to have a Son who was named Issac. To Find Your Tikune based on your Birthdate and Location, please give us your information. Here are some General Tikunes based on the Day, Month, and Year you are born. Each person has several Tikunim to achieve. Many of these Tikunim are shared by Millions of other People. Many of these Tikunim are shared by only a few and essentially there is 1 Tikune that is yours and only your Tikune to achieve. Your Jewish Astrological reading will teach you these Tikunim. Each year has a connection to certain relationships through out creation. Some of these relationship connections are to the 50 year Jubilee cycle, the 7 year Sabatical cycle, the 28 cycle of the sun – usually referred to as the 28 times from Kohellet chapter 3 – the 19 year cycle of the Moon, the 10 year cycle of the Seferot, the 13 year cycle of oneness, the 18 year cycle of life, the 32 year cycle of Wisdom, and the 22 year cycle of the Aleph Bait.